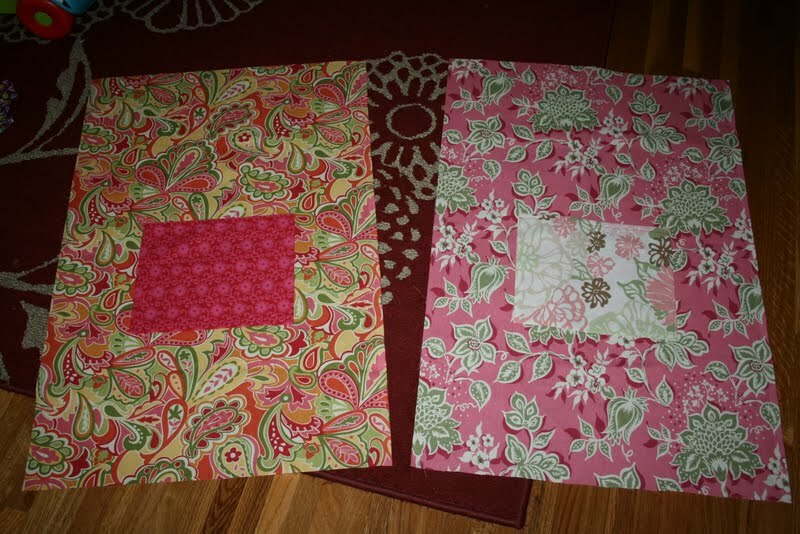 Start out by choosing the material you want to use. 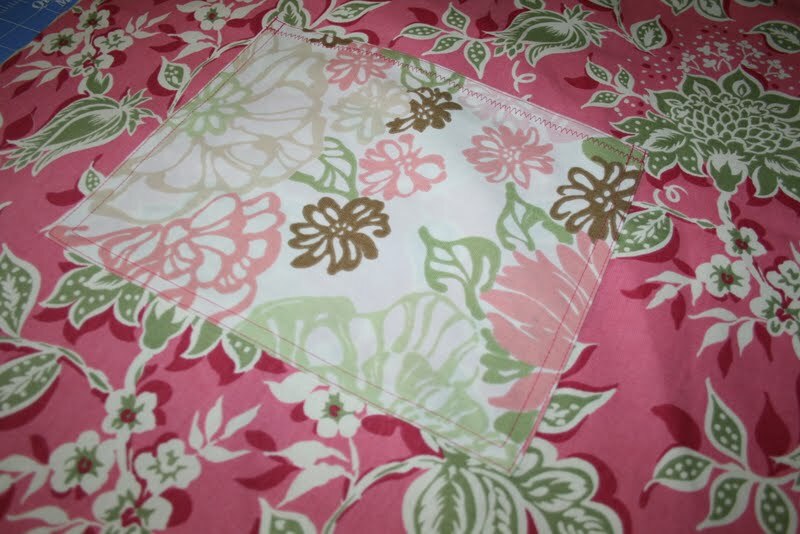 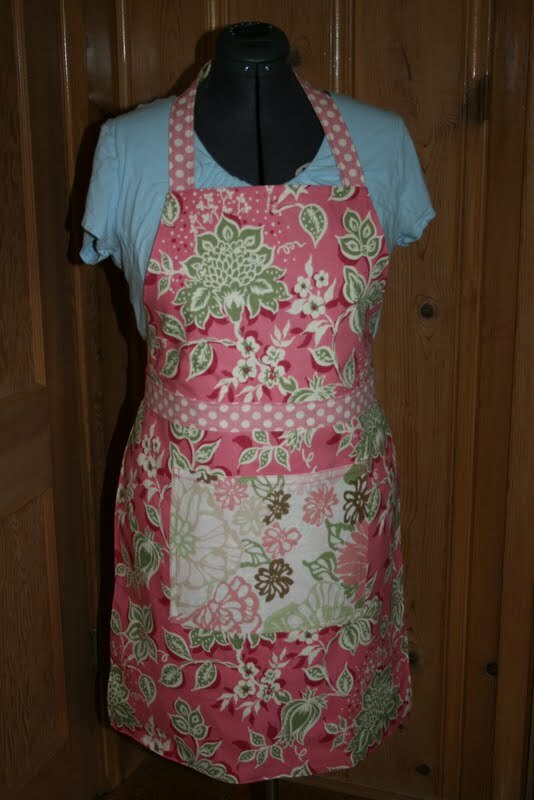 *you could also just get 1/2 a yard of a coordinating material to use for the pocket, neck straps and waist ties, instead of having 3 different prints for each side of the apron. 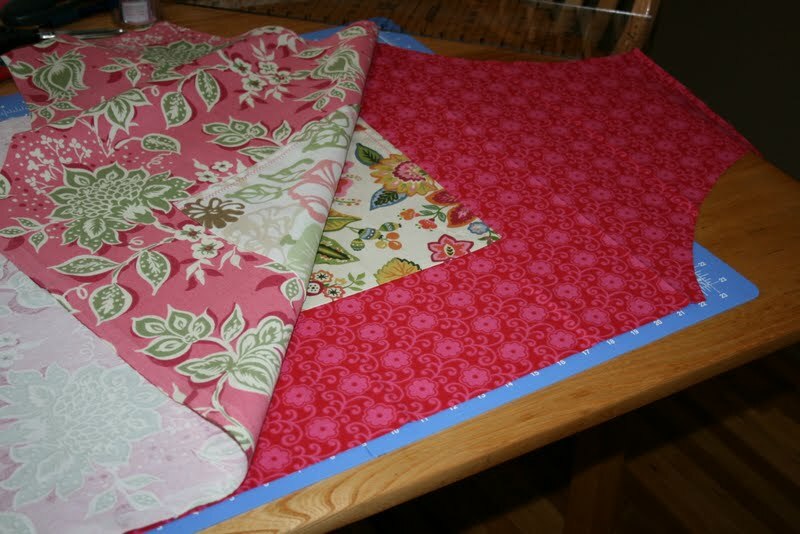 Once you have your material picked out start cutting and make sure that the print runs vertical with the height measurements. 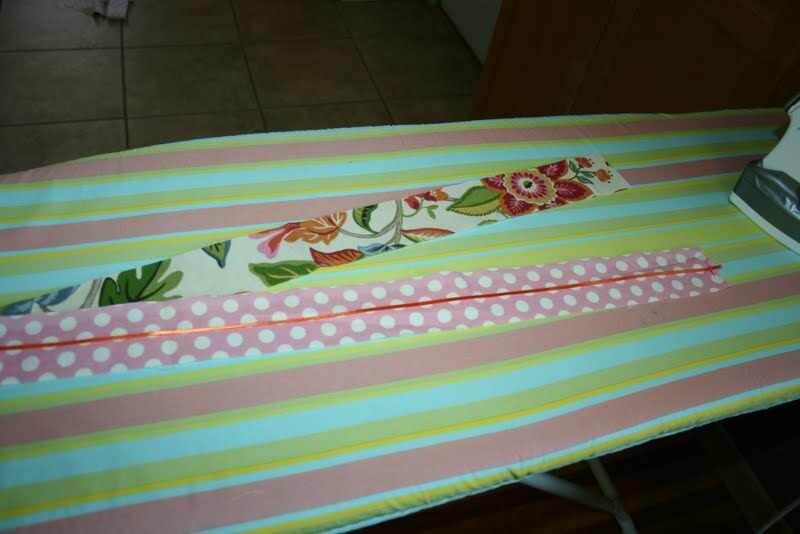 two 70" wide and 2 1/2" high, E&F (print direction doesn't matter) *you can sew two pieces of material together to make the 70 inches instead of buying two yards of material for the length. 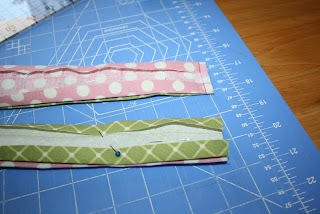 You can also make these higher than 2 1/2 inches if you want a wider waist strap. 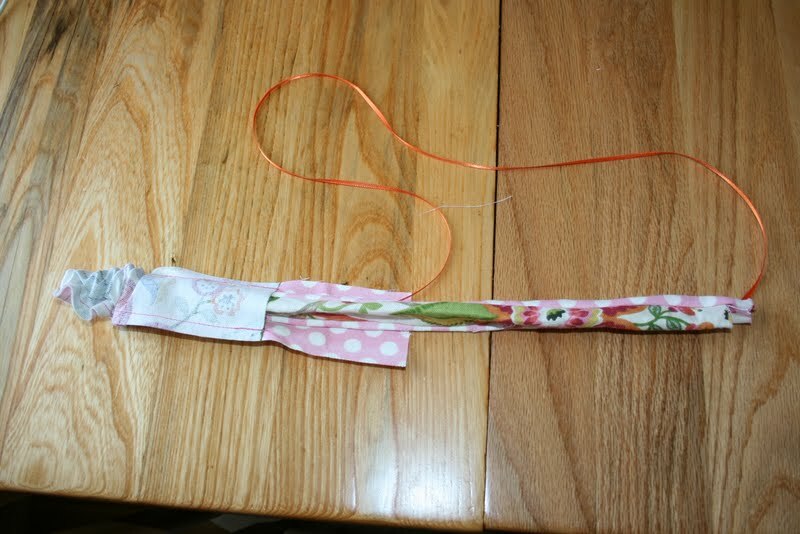 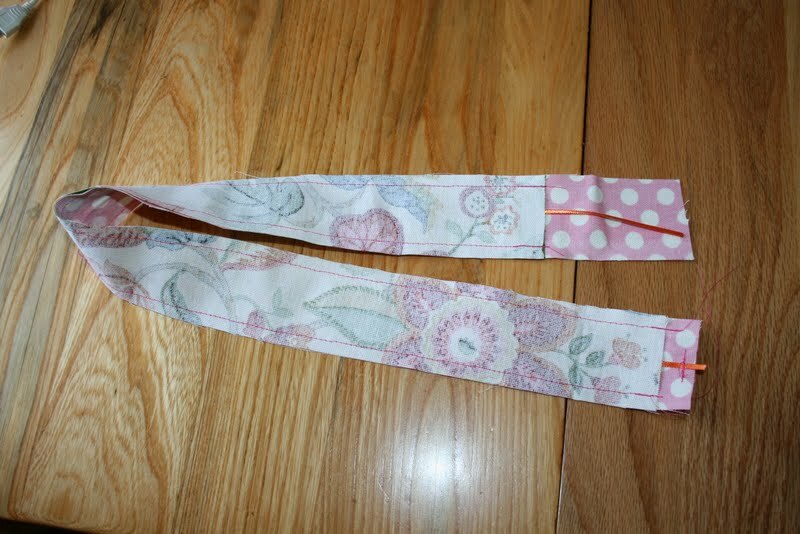 Neck Strap: Take a 24 inch piece of ribbon or yarn and sew it to one end of a 23 x 2 1/4 piece. 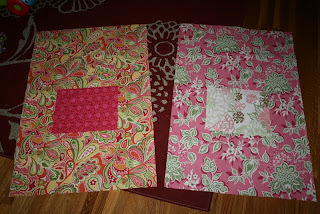 Lay the other 23 x 2 1/4 piece over top of it with right sides facing each other. 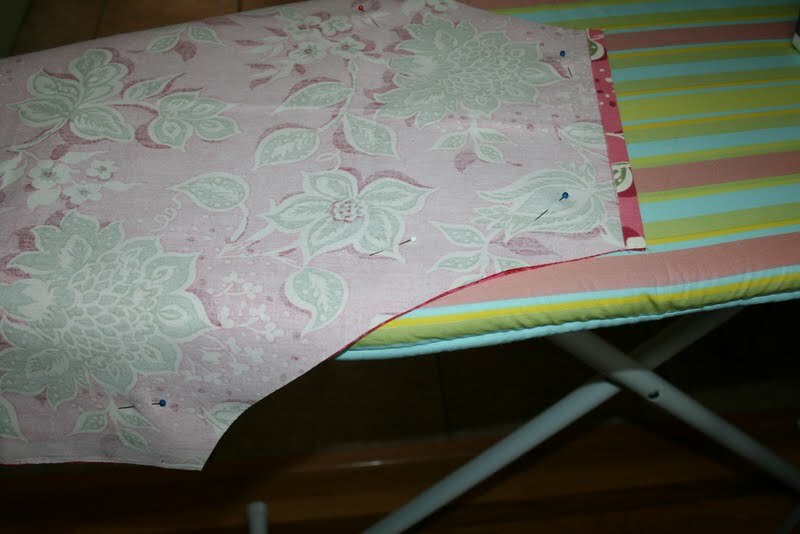 Mark a 1 inch line on the back side of the top of the apron and iron over 1/2 inch of material, so that it is straight along the marked line. 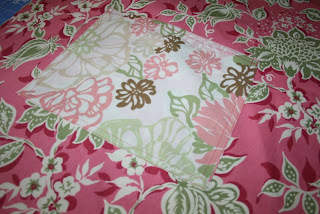 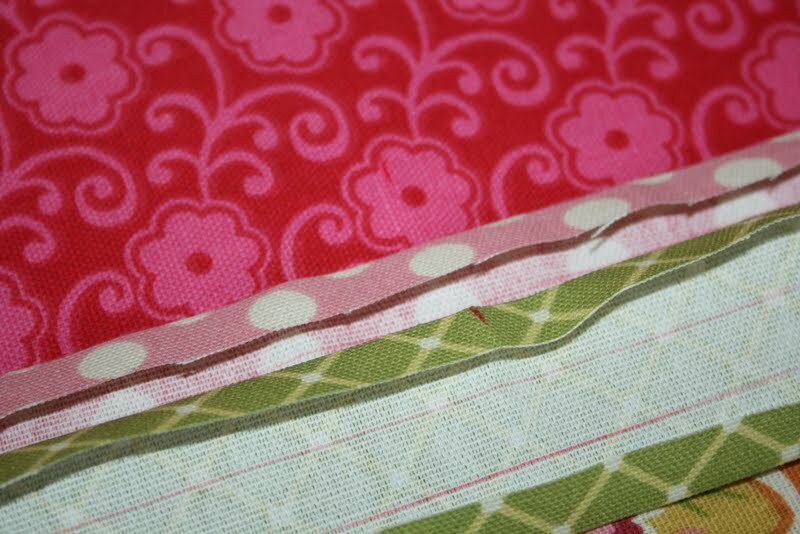 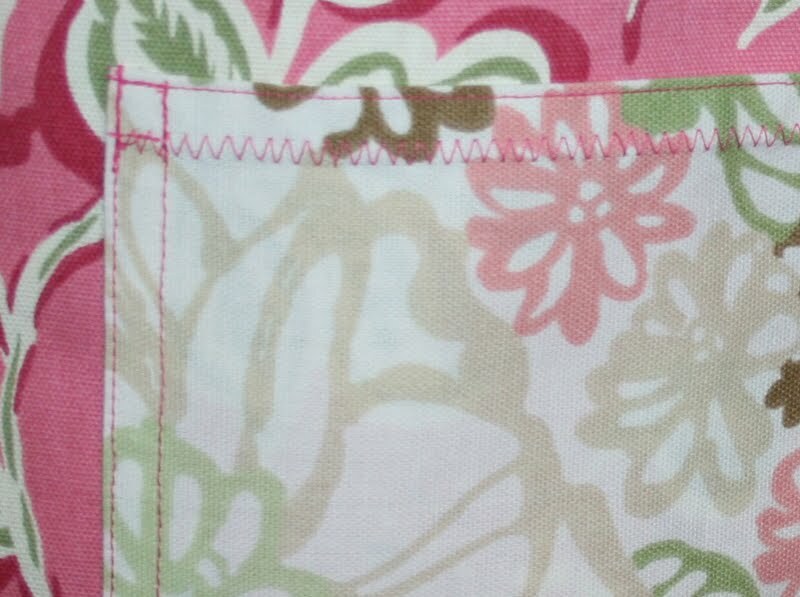 This will give you a finished edge along the top when you sew your apron together. 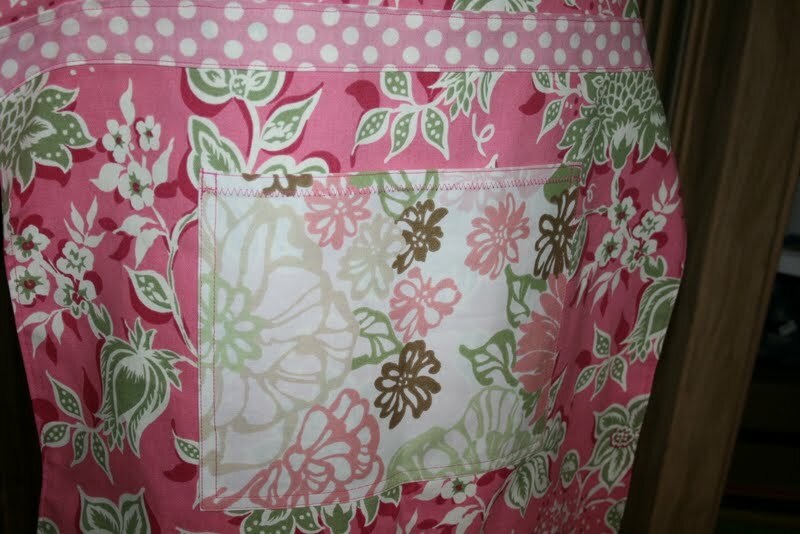 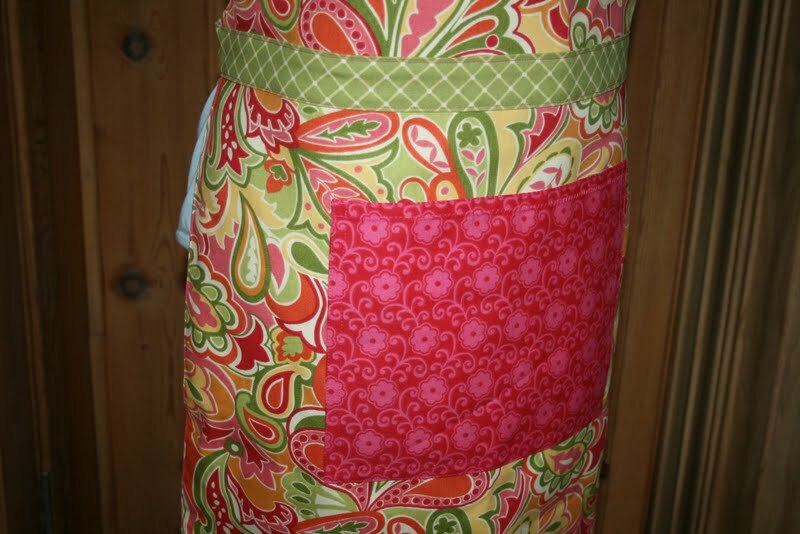 Pin your apron together and sew a straight stitch 3/8 in around the outside of the apron, leaving the top open, turn the apron inside out and iron the seams flat. 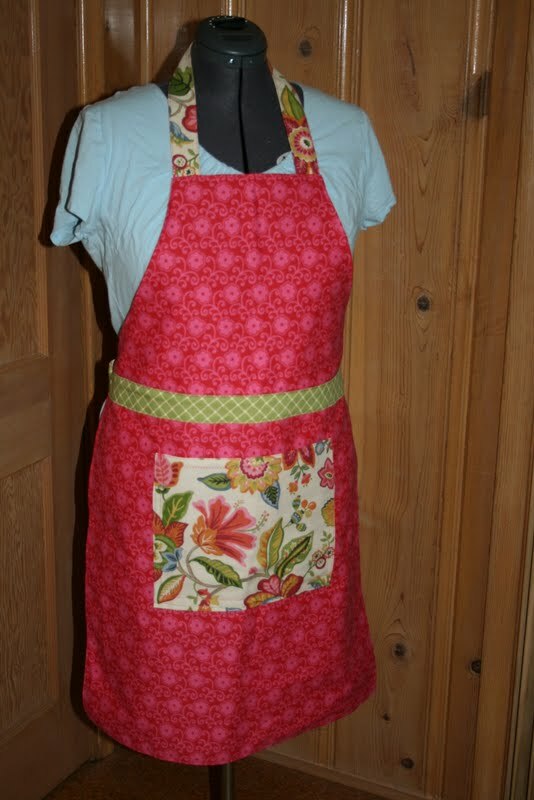 Take the neck strap and place it inside the top of the apron, all the way to the edge of opening on both sides. 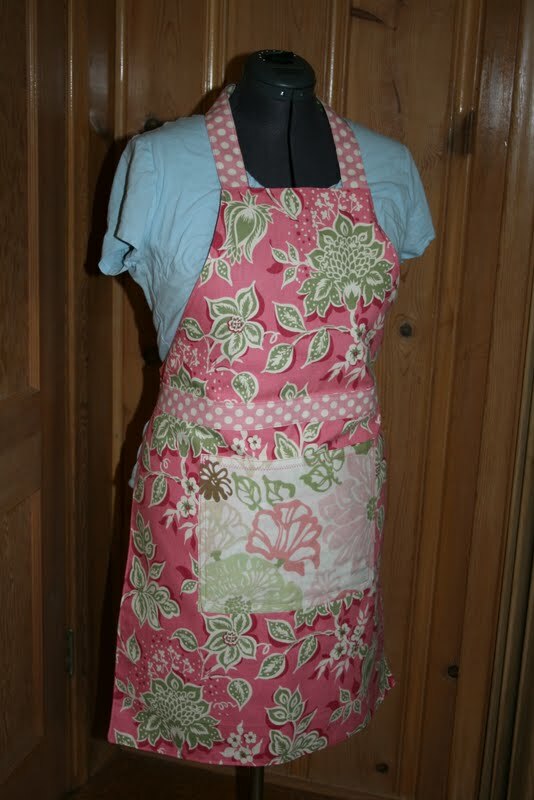 *You may want to pin it in place and try the apron on and see if you can shorten the neck strap so that you can just fit your head though the loop. 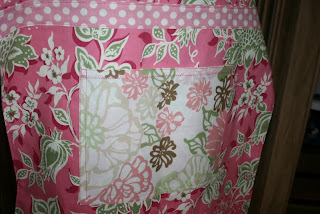 Sew a straight stitch 1/8 inch in from the edge all the way around the outside of the apron, this will sew the straps into place as well. 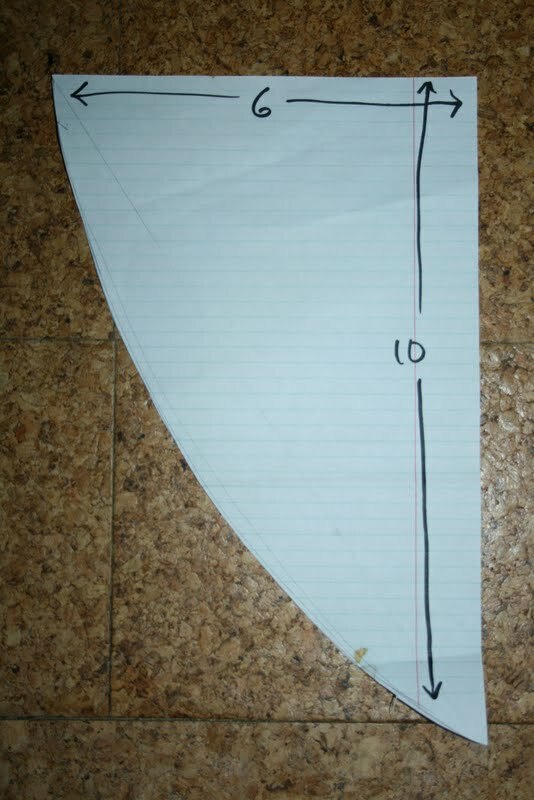 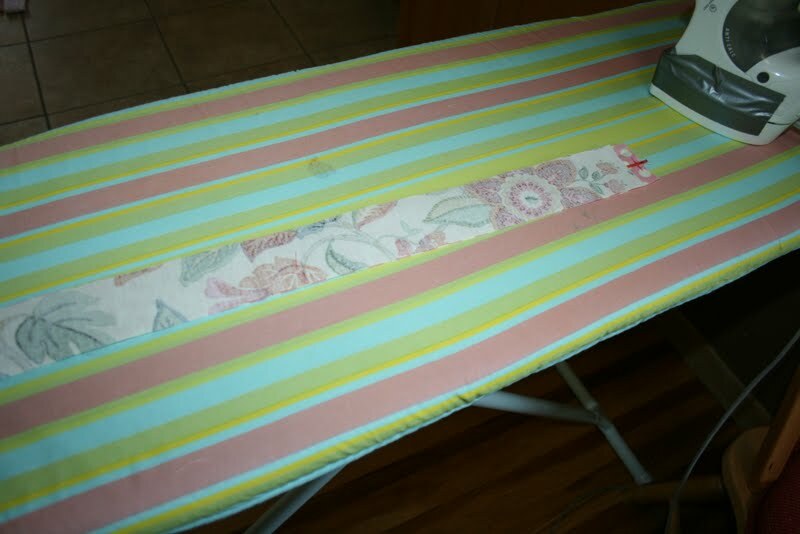 Now take your two 70" by 2 1/2" pieces and fold over and iron a 1/2 inch flap on both of the long sides. 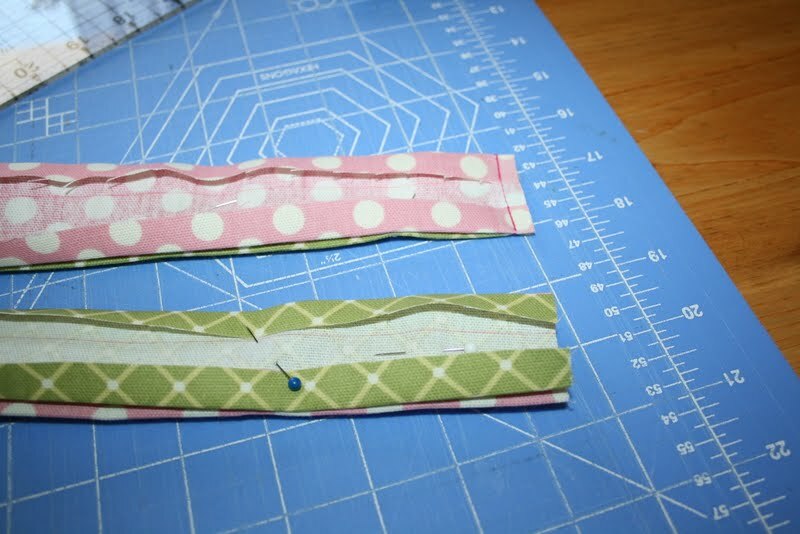 Mark the center on your apron and the center of your waist straps. Turn the right side out, you will have one huge loop, with both ends of the different color straps sewn together. 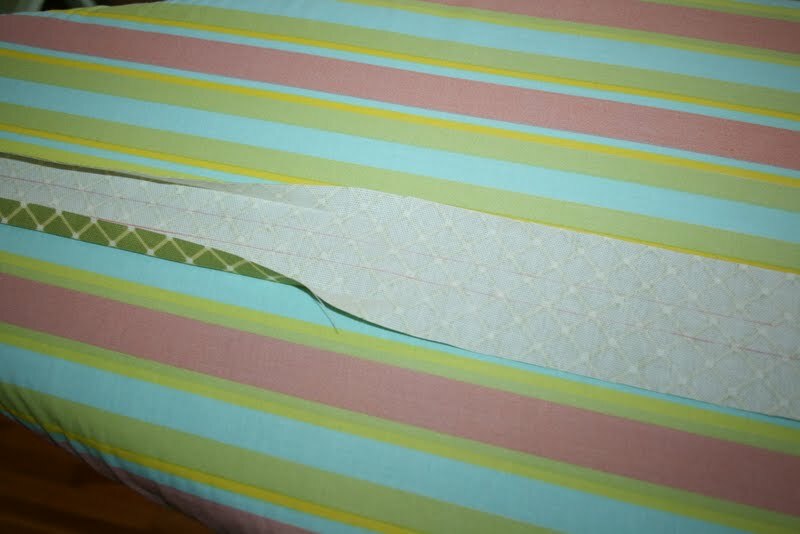 To attatch the waist tie, slide the apron inside the strap, line up the center and make sure that the strap goes straight across the apron. 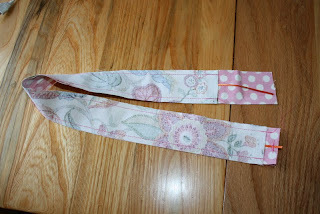 I used fusible bonding iron tape to hold the strap in place before I sewed both sided together. Once you have the strap sew on on, it is done! 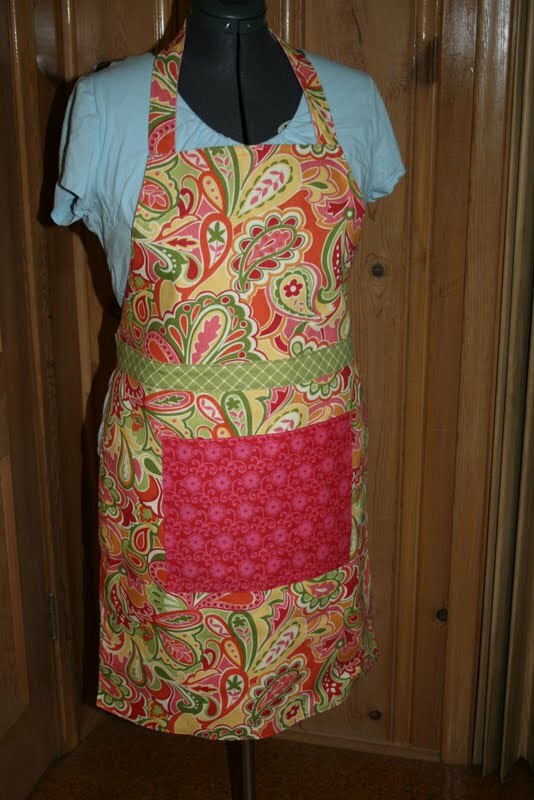 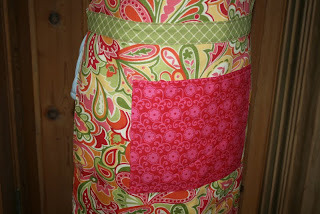 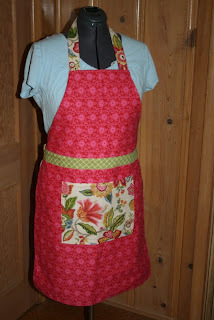 Here are two aprons I made!